Elisir is the perfect set of two distinct but complementary souls: the first resolute, pragmatic, the other dreamy and romantic. The dualism of the collection is evident in the choice of fabrics and silhouettes. 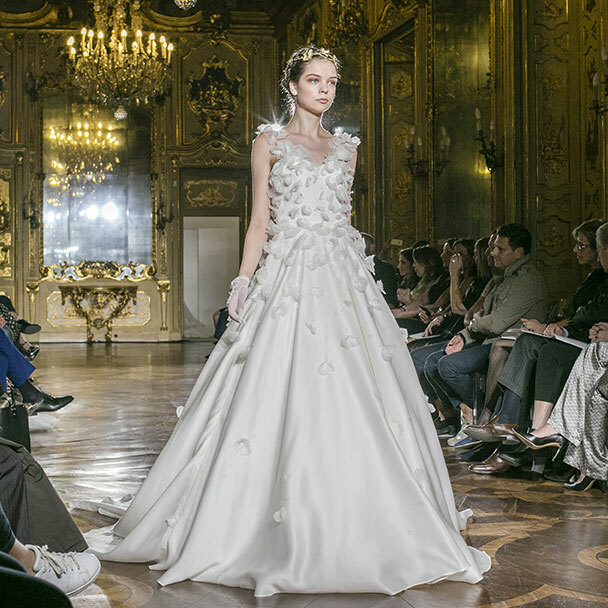 Enzo Miccio has imagined a bride who, almost like a gem, manages to enchant everyone as he passes by. My Secrets talks about Enzo Miccio, about his concept of elegance and his style. An hymn to tailoring and Made in Italy that starts with the choice of fabrics. Tasmania wool and silk create smoking and unique ceremony dresses. The chromatic palette is classic, from navy blue to black, but there are some colors like the English green and ruby red. Icons is a real hymn to femininity in all its forms; a gentle, elegant feminine that blends well with the unmistakable style of the designer. The essence of this collection is, however, unique, unique as well as the women who inspired it: Grace Kelly, Rita Hayworth and Marlene Dietrich. The Oro di Napoli is inspired by Naples, its enchantment, its rich history of charm and legend. 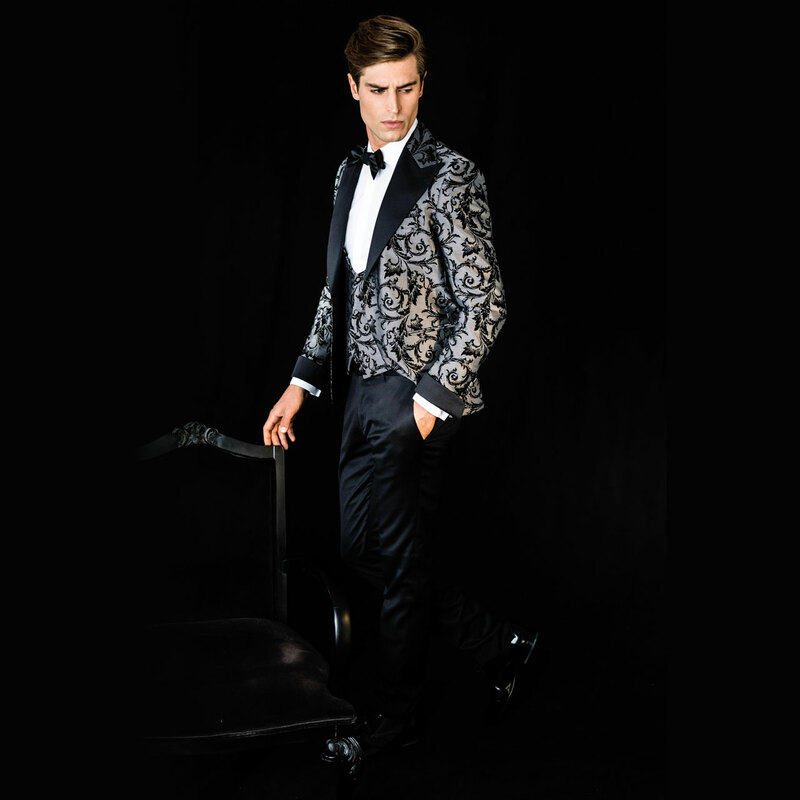 In every creation there is the uniqueness of the Parthenopean tailoring, the "Neapolitan style" known throughout the world. The Jardin Suspendu is inspired by the soft, enveloping nature, ready to give a brilliantly refined elegance to whispered elegance. Delicate peach flowers slip lightly on the organza, sinuous ramages intertwine on the silhouette evoking gardens and views in a sought-after balance between sobriety and splendor, linearity and purity. A collection of exclusive models made of precious materials. Matt satin, silk mixed with Valenciennes lace.